We’ve got an exciting month of socials, dining around for justice, and low-cost trainings for new lawyers! What you didn’t learn in law school: Practical Nuts and Bolts for New Attorneys. This two-day boot camp will give new attorneys all the basics one needs to jump start a legal career. Have you ever thought about being a mentor? Are you interested to know how the Barristers Mentorship Program works? Please join the current mentors/mentees and members of the Barristers Executive Committee at a social on August 4th at the ACBA. This is a great opportunity to chat about the experiences of past program participants and learn more about the program. August 6, 2015 from 1:00 p.m. – 4:00 p.m. This training session is offered to all prospective and current volunteers who arbitrate attorney-client fee disputes for the Mandatory Fee Arbitration Programs through the Alameda County Bar Association and the State Bar of California. Thursday, August 6, 2015, you can support pro bono work in Alameda County while enjoying a fantastic dinner at Pizzaiolo. To participate, simply call the restaurant to make a reservation or drop in and dine. 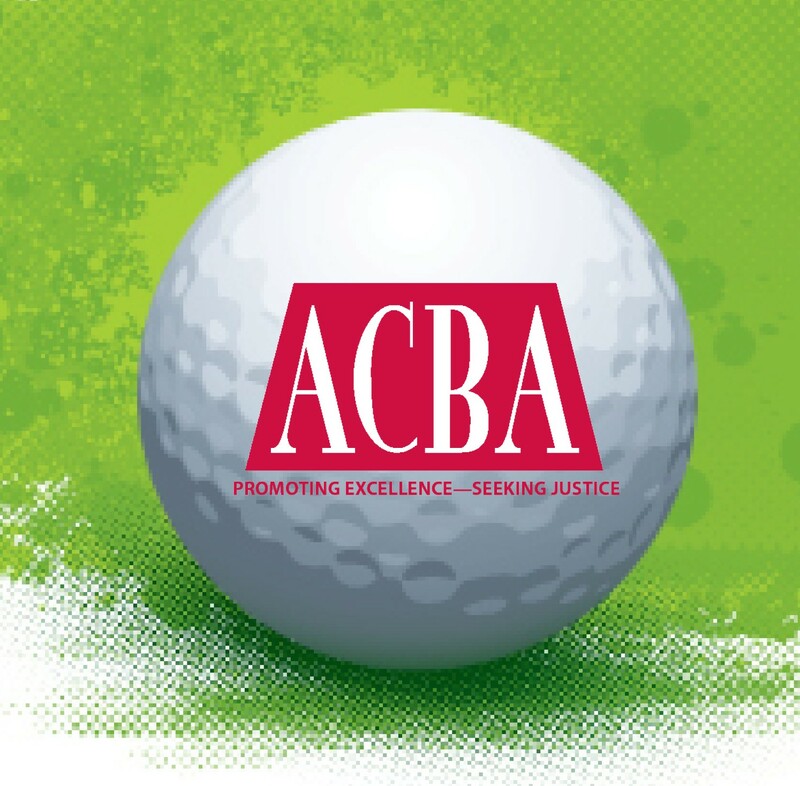 Whether you’re a new golfer wanting to spend an afternoon networking with other attorneys and judges, or an experienced golfer hoping to see your name engraved on the President’s Cup, you’re welcome at the ACBA Barristers Golf Classic. Thursday, August 13, 2015, you can support pro bono work in Alameda County while enjoying a fantastic dinner at Doña Tomás. To participate, simply call the restaurant to make a reservation or drop in and dine. August 19, 2015 from 4:30 p.m.—6:00 p.m. Please join incoming presiding judge Hon. Morris Jacobson for a town hall to discuss the court’s plans to reorganize in 2016. On Thursday, August 20, 2015, you can support pro bono work in Alameda County while enjoying a fantastic dinner at Bocanova. To participate, simply call the restaurant to make a reservation or drop in and dine. Dine with a Judge events are excellent opportunities to get to know members of the bench! Sign up today, as space is limited to 10.